Dwarf hire benidorm is so popular with Hen and stags. They just love this, LET US HANDCUFF your stag, hen to a mini Superman, policeman or other hero or little villain. Why choose us for Dwarf hire benidorm? We are based in Benidorm and are the only provider of little guys in benidorm. (Be careful of websites and Facebook pages offering dwarf hire benidorm that are based in most cases madrid etc as the will take your money and not turn up.) Like we said, We are actually in Benidorm. Our Little guys speak perfect English and are ready to rock your stag or hen party. Our little guys are also professional actors, most appear regularly on TV and in feature movies such as Star Wars. All the attention will go on your stag or hen but our guys can be cheeky so be prepared. benidorm dwarf hire also provides the handcuffs haha. Our photos here of our little guys are 100% real photos. No pictures ripped off the internet. 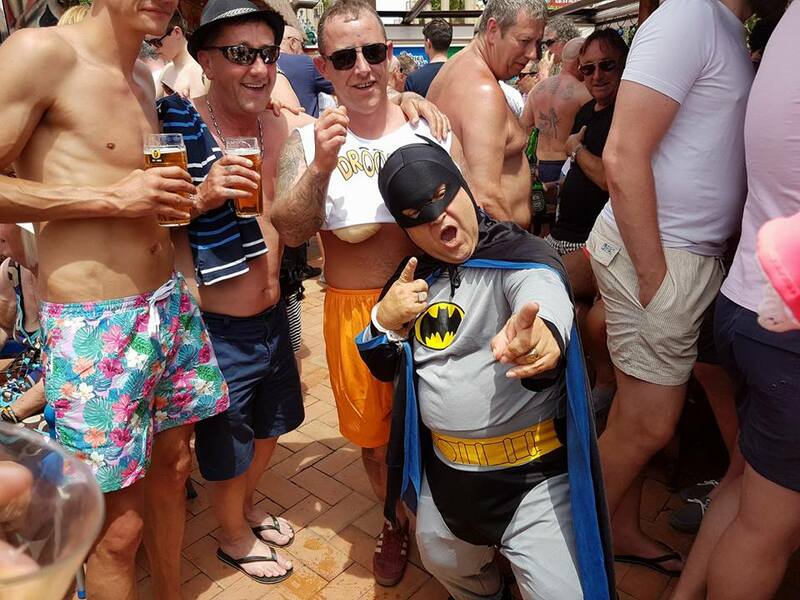 We have a nice collection of costumes that are included when you book a little guy from Dwarf hire benidorm. benidorm dwarf hire prices are usually charged by the hour but this is flexible for the longer periods. We can also provide the very popular Dwarf stripper too. Its a novelty strip that you and your group will never forget. Our Dwarf hire benidorm is very popular, we do get booked up so we always advise anyone interested to book as far in advance as possible in the case that times, days, nights do book out. Securing your booking is simple and takes less than 5 minutes so whats stopping you?